Sarah Backhouse, Managing Director, Communications 50 at World 50, Inc.
Sarah Backhouse is Managing Director of Communications 50 and Sustainability 50 at World 50, private communities of senior-most communications and sustainability executives from Fortune 500 companies. In this role, Ms. Backhouse facilitates the most important business conversations, moderates world-class leaders, and creates environments for peer-to-peer learning. A former TV host and environmental journalist, Ms. Backhouse has credits on CNBC, BBC, PBS, Fine Living, Discovery Channel and Planet Green. She is a recurring host on Al Gore’s 24 Hours of Reality. She previously founded Future360.tv, an online video platform showcasing sustainable innovation. Alex Badduke joined Care2 as an intern in 2014 and was quickly hired as an online campaigner for the Care2 Advocacy team. Working with nonprofits including Amnesty International, Greenpeace and the New Democratic Party of Canada, Ms. Badduke crafts online advocacy campaigns to connect organizations to new supporters and donors. She also helps coordinate Care2’s email marketing strategy to get results. Prior to joining Care2, Ms. Badduke interned for the ACLU’s Immigrants’ Rights Project, Fair Trade USA and was the Co-Editor in Chief for Journalists for Human Rights at McGill University. Ms. Badduke completed her Bachelor’s Degree at McGill University with honors in International Development Studies and Political Science. In her spare time, she enjoys cooking with veggies from her community garden and trivia nights with her friends in San Francisco. Shannon Bart is the Sustainability Director at NBCUniversal where she is responsible for overseeing the Sustainable Production Program as well as sustainability initiatives on the Universal Studios lot. Her work includes developing sustainable production standards across the company’s feature film and television productions worldwide and engaging crews in the implementation of the program. Ms. Bart began working at NBCUniversal in 2009 as the Sustainable Production Manager. Previously, Ms. Bart founded EcoSet, an environmental production resource for commercial and event productions, and freelanced in film and commercial production. Ms. Bart attended the University of Minnesota, Twin Cities and has a degree in Journalism and Mass Communication. She resides in Los Angeles, CA. Nikki Batchelor is the Prize Manager for the $20M NRG COSIA Carbon XPRIZE, overseeing the operations and impact strategy of the prize. Prior to working at XPRIZE, Ms. Batchelor served as an Innovation Advisor to USAID on their Grand Challenges for Development initiative, designing and executing open innovation programs. She has also worked as a Senior Strategist at NationBuilder, and as a Project Manager for USAID programs in Iraq and Afghanistan. Ms. Batchelor is active in the LA social impact community, serving on the steering committee for LA+Acumen. She also holds an MBA from George Washington University. Guusje Bendeler is Co-Founder and Chief Strategy & Creative Officer of thinkPARALLAX, a brand consultancy committed to building brands with purpose. Her work with clients like Southwest Airlines, Qualcomm, International Paper, and Beam Suntory has included the development and implementation of strategies for communicating core values, purpose, and citizenship. 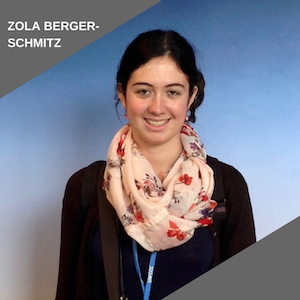 For the past seven years, Los Angeles native Zola Berger-Schmitz has been giving environmental advocacy speeches at international, national and community events, including legislative hearings, TEDx and youth summits. She was a youth delegate at the United Nations 2016 Climate Talks, and she has also authored blogs and articles about youth environmental advocacy. In 2016, she became one of the first students in Georgia history to testify in front of the statewide Public Service Commission and recently helped co-found a Georgia environmental advocacy college coalition. Ms. Berger-Schmitz is currently co-president of the Emory Climate Organization and a champion for renewable energy on her university campus and within the City of Atlanta. As an intern at the Atlanta Mayor’s Office of Sustainability this past year, she helped design infographics and presentations about the Atlanta Climate Action Plan to make it more accessible for the public. Jaime Carlson specializes in alternative asset investment in the Americas. Ms. Carlson is Executive Vice President of Operations and Capital Planning at Cypress Creek Renewables, the second largest integrated solar platform in the US with over 1 gigawatt of operating assets. Previously, she was Global Director of Finance at TerraForm Group, a $2B publicly traded renewable energy operating company. Ms. Carlson also led mergers & acquisitions in US, Asia and South America for Rentech, Inc., a Blackstone-backed $550MM revenue natural resource company. She served in President Obama’s first term as an advisor for finance and operations to former Secretary of Energy Steven Chu. During her three years, Ms. Carlson advised on financial instruments to expand US energy innovation and directly oversaw the deployment of over $35B in Recovery Act funds. Bloomberg New Energy Finance named her one of the country’s thought-leaders in Alternative Energy. Gigi Lee Chang is the Managing Director of FoodFutureCo, a scale-up accelerator focused on working in food, agriculture and entrepreneurship. In addition, Ms. Chang is an advisor in the food, health, wellness and sustainability space. She is the Founder of Plum Organics and was the CEO of the national non-profit Healthy Child Healthy World. Ms. Chang was named a top women leader in the "future of food" by Forbes in March 2017 and a top dealmaker and influencer in consumer food and beverage by CircleUp for 2016. In addition to sitting on multiple corporate boards, Ms. Chang sits on the Advisory Boards of the Good Food Initiative of Arabella Advisors and the B Corp Force for Good Fund. 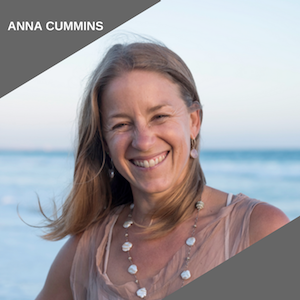 With more than 20 years of experience in environmental non-profit work, Anna Cummins is an expert in the field. Her “Synthetic Sea, Synthetic Me” TEDx talk has been viewed and shared by thousands. In 2016, Ms. Cummins announced 5 Gyres partnership with the Environmental Protection Agency at the State Department’s “Our Oceans” summit. In 2007, Ms. Cummins joined the Algalita Marine Research Foundation as an education advisor, conducting school outreach and giving public presentations on plastic marine pollution. Through Algalita, she experienced first-hand the Great Pacific Gyre, a massive vortex fueled by oceanic currents that sweeps plastic pollution from land and out of sight, shredding and concentrating it in the middle of the ocean. On that voyage, she also met Marcus Eriksen, with whom she would go on to found The 5 Gyres Institute in 2009. Beginning in 2010, 5 Gyres spearheaded a series of scientific firsts by researching plastic in all five subtropical gyres, as well as the Great Lakes and Antarctica. Ms. Cummins was elected a fellow of the Wings World Quest in 2011, and received a Golden Goody Award in 2013. As a Senior Director of Community Engagement at Microsoft, TJ DiCaprio is responsible for helping design and implement Microsoft’s global program to drive local social, economic and environmental impact in the communities Microsoft operates Cloud Service datacenters. Prior to joining the datacenter team, she was the chief architect of the company’s internal carbon fee, which drives accountability across the corporation while accelerating sustainability-related technology innovation, renewable energy and low-carbon economic development. On a personal note, Ms. DiCaprio is a certified pilot and has led several expeditions piloting aircraft across the Americas and Africa. She also enjoys sailing and has captained ships off the coast of Croatia, North America, South Pacific and Turkey. Dania Gutierrez joined the Green Sports Alliance as Program Manager in 2015. In her role, Ms. Gutierrez manages the execution of the Alliance’s program agenda, which includes developing the educational resources that are shared across the sports industry. Prior to joining the Alliance, she worked on environmental education and community outreach initiatives for various NGOs. In 2015, Ms. Gutierrez received a Master of Science in Natural Resources and Environment, with a focus on environmental education and policy, from the University of Michigan. Raminta Jautokas is the manager of corporate sustainability at Honda. She is responsible for greenhouse gas accounting and reduction strategy for US, Canada and Mexico. This includes managing Honda’s green dealer program (greendealer.honda.com), internal carbon pricing strategy, and Honda’s North American green conference. Ms. Jautokas is also the executive director and treasurer of the newly created Honda Marine Science Foundation (marinescience.honda.com). The foundation’s mission is to help restore marine ecosystems and facilitate climate change resilience. Prior to joining Honda’s Environmental Business Development Office, she was a project manager in information technology. Before joining Honda, she worked in the aerospace industry. Ms. Jautokas has a mechanical engineering degree from University of Illinois at Urbana-Champaign. René Jones is the Head of the UTA Foundation & Enrichment at United Talent Agency (UTA), a premier global talent and literary agency representing many of the world's most acclaimed figures in entertainment. In this capacity, she provides strategic philanthropic guidance for clients and employees as well as advises non-profit organizations on best practices for effective entertainment industry engagement and social impact. Ms. Jones created many signature initiatives at UTA include “Project Impact” global volunteer day, UTA Mentoring, Grants and Employee Giving programs along with establishing the UTA Green Team. She is a Global Ambassador for Vital Voices, a USC Marshall Social Enterprise Lab Senior Fellow, and serves on the advisory boards of the Sierra Club entertainment council and River LA. Laura Kim is currently working on An Inconvenient Sequel: Truth To Power (Paramount Pictures) and Ai Weiwei’s Human Flow (Amazon Studios) as well as the recent releases Spotlight, The Look Of Silence, The Best Of Enemies and Citizenfour. Prior to Participant, she worked on Ida, Undefeated, The Act Of Killing, Stories We Tell, Gloria, Margin Call, Restrepo, Winter’s Bone, Before Sunset, March Of The Penguins, Paradise Now, Good Night, And Good Luck, In The Bedroom, Mulholland Dr., Being John Malkovich, In The Mood For Love, Shine, The Sweet Hereafter, Happiness, Muriel’s Wedding, and The War Room, amongst countless others. Lily Lapenna MBE is the Founder and Chair of global social enterprise MyBnk. From 2007 to 2016, she was CEO of MyBnk, which supports young people to become financially resilient and work ready. MyBnk’s innovative work has won awards for excellence, most recently by the Centre for Social Justice. After having successfully campaigned to include financial education into the UK school curriculum, Ms. Lapenna now sits on the Financial Capability Strategy Board. The World Economic Forum honoured Ms. Lapenna as a Young Global Leader recognizing her system changing approach to education. Ashoka and Aspen made her a fellow in acknowledgment of her global social impact. Beyond her achievements in social change, Ms. Lapenna works as an executive coach, consultant and speaker. 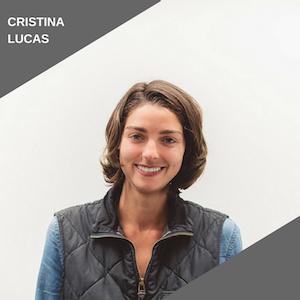 Cristina Lucas is the Project Manager of Sustainability and Legacy for the LA 2028 Olympic Bid Committee. In this role, Ms. Lucas supports the development of LA 2028’s sustainability platform and advisor network focused on environmental conservation and social inclusion. Prior to joining the team in September 2016, she worked for GLG, a professional learning platform, where she spent three years growing the company’s west coast business and most recently supported the company’s technology clients in Los Angeles and the Bay Area. Ms. Lucas received a BA in Political Science from Wellesley College. Kaitlin Mogentale was a senior in college when she saw a friend juice a carrot. She was appalled to realize that as much as 75% of the vegetable was wasted, leaving behind vibrant heaps of carrot pulp. Calling up juiceries across Los Angeles, she found that most were sending their pulp to the landfill (as much as 3.5 pounds are wasted per pound of juice produced!). After that fateful moment, Ms. Mogentale's traditional career trajectory was turned upside down as she began to build Pulp Pantry, a social enterprise turning neglected resources such as juice pulp into delicious snacks that make it easy to eat your daily servings of fresh fruits and vegetables in snacks such as granolas and crackers. Nina Nashif is a visionary leader working at the intersection of healthcare innovation and venture capital as a senior advisor to many organizations. Ms. Nashif founded Healthbox, a global platform redefining innovation in healthcare by empowering large organizations to work more effectively with entrepreneurs to co-create the future of healthcare. For four years, Ms. Nashif served as CEO of Healthbox and grew it from an idea to a multi-million dollar revenue business with more than $45M of investment capital under management. Healthbox worked with more than 125 healthcare technology companies and 30 healthcare organizations as a recognized catalyst in the industry. Vivian Panou is the director of special events and programs at Earth Friendly Products maker of ECOS. In her role, she educates the public on healthy, sustainable living and partners with non-profit organizations to educate and uplift audiences across the country. A former reporter in Chicago and Greece, her knowledgeable personality and infectious enthusiasm has her appearing on TV, radio, and conferences. Ms. Panou presents fun green chemistry, recycling and water-wise practices to children throughout the US. As a cancer survivor and mom to two “tween” daughters, her mission is to help make this planet a healthier place for all living species. Ms. Pearlstein created her first film in 1998, a portrait of the iconic Los Angeles hot dog stand Pink’s, and went on to produce and write long-form documentaries for Bravo, MSNBC, Discovery, NBC News and ABC News. From 2000 to 2005, working with executive producer Craig Leake, Ms. Pearlstein produced and wrote prime-time documentaries for Tom Brokaw and the late Peter Jennings. She is a member of the Documentary Branch of the Academy of Motion Pictures Arts and Sciences and served on the board of the International Documentary Association. Carla J. Peterman was appointed to the California Public Utilities Commission (CPUC) by Governor Edmund G. Brown Jr. in December 2012. Commissioner Peterman is the CPUC’s assigned Commissioner for a number of proceedings including energy efficiency, the Renewables Portfolio Standard, alternative transportation, energy storage, and several general rate cases. Commissioner Peterman serves as Board member of the National Association of Regulatory Utility Commissioners (NARUC) and as a Steering Committee member of the California Plug-in Electric Vehicle Collaborative. She was previously appointed by Governor Brown, in 2011, to the California Energy Commission where she was lead Commissioner for renewables, transportation, natural gas, and the 2012 Integrated Energy Policy Report. She is the first African-American female to be appointed to both Commissions. A native Angelena born and raised in East Los Angeles and Boyle Heights, Barbara Romero was appointed Deputy Mayor of City Services by Los Angeles Mayor Eric Garcetti in March 2015. In this role, she oversees the work of fifteen departments, including those directing billions of dollars in public investment, such as Public Works, Transportation, Recreation and Parks, and Water and Power. Prior to her service as deputy mayor, Ms. Romero was appointed by Mayor Garcetti to serve as a commissioner on the City’s Board of Public Works. In the previous mayoral administration, she served as a City Planning Commissioner, appointed by then-Mayor Antonio Villaraigosa. Janice Rutherford was elected to serve as San Bernardino County’s Second District Supervisor in November 2010 after serving on the Fontana City Council for 10 years. She was selected to serve a two-year term as Chair of the Board of Supervisors in January 2013. She was re-elected as Second District Supervisors in 2014. Supervisor Rutherford has led efforts to focus County resources on core public services, rein in pensions, protect local businesses, and restore public trust in County Government. She serves on the boards of the South Coast Air Quality Management District, San Bernardino County Transportation Authority, Inland Empire Economic Partnership, Local Agency Formation Commission, Arrowhead Regional Medical Center Joint Conference Committee and Omnitrans. Claire Schlemme is the Co-Founder and CEO of Renewal Mill. Renewal Mill creates delicious and affordable high-fiber foods using byproducts harvested from food manufacturers. Her interest in food waste and accessible nutrition grew from her previous experience as the co-founder of Boston's first organic juice company. Before entering the world of food, she was an environmental consultant specializing in natural resource damage assessment. She holds a BA from Wellesley College and an MEM from Yale University. As the Manager of Environmental Sustainability Projects and Initiatives at AEG, Sunny Sohrabian manages projects for AEG 1EARTH, AEG’s corporate environmental sustainability program. In this role, she works with AEG’s worldwide portfolio of venues, festivals, sports teams, and other operations to measure and reduce the company’s environmental impact. Additionally, Ms. Sohrabian manages AEG’s corporate sustainability communications, including the production of AEG’s annual sustainability report, and works to raise awareness of environmental issues among employees and guests. Prior to joining AEG, Ms. Sohrabian worked for Context America, an international sustainability reporting consulting firm where she developed reporting strategies for major corporations. Alyssa Seibert leads the Imperfect sales team in Los Angeles. Imperfect delivers ugly produce to people's homes for 30-50% cheaper than the grocery store. Her team is responsible for reaching out to the local community and spreading Imperfect's mission. Ms. Seibert earned a Bachelor’s degree in Environmental Science and Policy and a Master’s in Community Planning from University of Maryland, College Park. From sales and operations work for an online farmers market in Washington D.C. and management of the Bring the Farmer to Your School program for Sustainable Economic Enterprises of Los Angeles, she’s thrilled to be combining her passions and strengths to be leading the expansion of Imperfect in LA. Melissa Sun is the Director of Entertainment Partnerships at the Sierra Club, the oldest, largest, and most influential grassroots environmental organization. She collaborates with high profile cultural leaders to ensure their creative projects make a positive social impact. Previously, Ms. Sun was Vice President at Stan Rosenfield & Associates, a talent PR agency. She worked with clients including George Clooney, Helen Mirren, Morgan Freeman, Danny DeVito and more. While there, she ran two successful Oscar campaigns, and helped launch dozens of film, TV, book and fashion projects on behalf of her clients. Ms. Sun began her career in broadcast news as a producer.